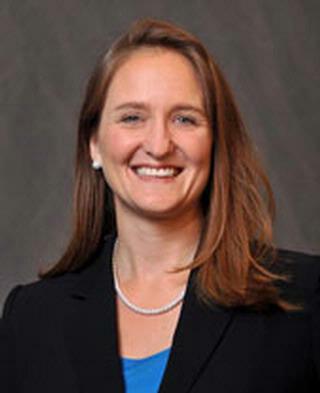 Dallas Nelson, M.D., associate professor of medicine, University of Rochester School of Medicine and Dentistry and Medical Director, UR Medicine Geriatrics Group is a recipient of the first-ever Rochester Business Journal Women of Excellence awards. The Women of Excellence awards were established this year to recognize women for their career accomplishments, community involvement, leadership and sustained commitment to mentoring. This year’s class, selected by the editor and publisher of the Rochester Business Journal, features 34 women from a variety of industries. They all have achieved professional excellence, display a commitment to community service, and embrace having a positive impact on others by serving as a mentor. For the past five years Dr. Nelson had been the Medical Director of the UR Medicine Geriatrics group caring for many Rochester elders in several nursing homes and assisted living facilities. She also serves as the medical director of several of these facilities and is always striving to improve systems and quality of care. She has led innovations in healthcare such as telemedicine in assisted living facilities that has improved care and led to a decrease in emergency department visits. Dr. Nelson has been the recipient of several awards including the prestigious Alpha Omega Alpha award at her medical school and the 2015 Division of Geriatrics and Aging Leadership Award. In 2009 she was awarded Fellowship from the American College of Physicians. She is a renowned educator at the University and has taught on the national stage by leading sessions with the American Medical Directors Association at their national meetings in Kentucky, Florida, and Arizona. Dr. Nelson is a member of the Finger-lakes Directors Association, the New York Medical Directors Association, and is on the American Board of Post-Acute and Long Term Care. She is also active in several committees as part of the American Medical Directors Association. Dr. Nelson has received research and education funding from the Department of Human Health and Services, the John A. Hartford Foundation and the Donald W. Reynolds Foundation. She has used these funds to develop innovative approaches to caring for patients and educating care providers. Dr. Nelson is the author of several important articles in the field of geriatrics and has also contributed to textbook chapters, abstracts and posters presented at national meetings. Because of these efforts she has developed a national reputation as a leader in the field of geriatrics.